With the Eagles having officially disbanded in May 1982, leaving behind eight Top 40 hits that followed the release of the spectacularly successful Eagles: Their Greatest Hits 1971-1975, Asylum Records naturally compiled a second hits collection for fall 1982 release. 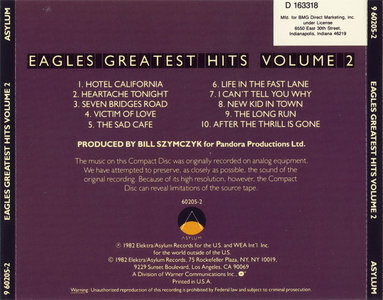 Seven of those hits were included (the exception being the seasonal "Please Come Home for Christmas"), along with three LP tracks, one each from One of These Nights, Hotel California, and The Long Run. 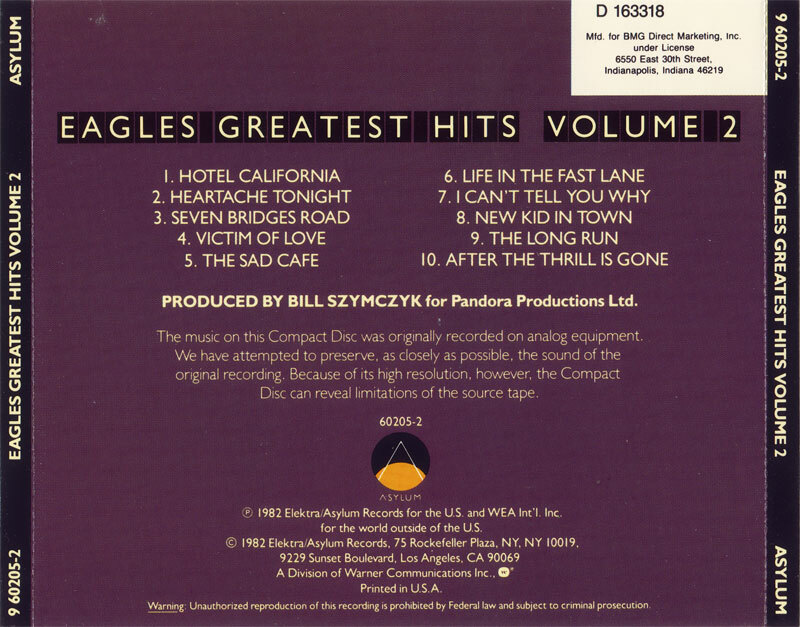 Disdained by longtime fans and by the Eagles themselves, the collection was perfect for listeners who knew the band through number one radio hits like "New Kid in Town," "Hotel California," and "Heartache Tonight." 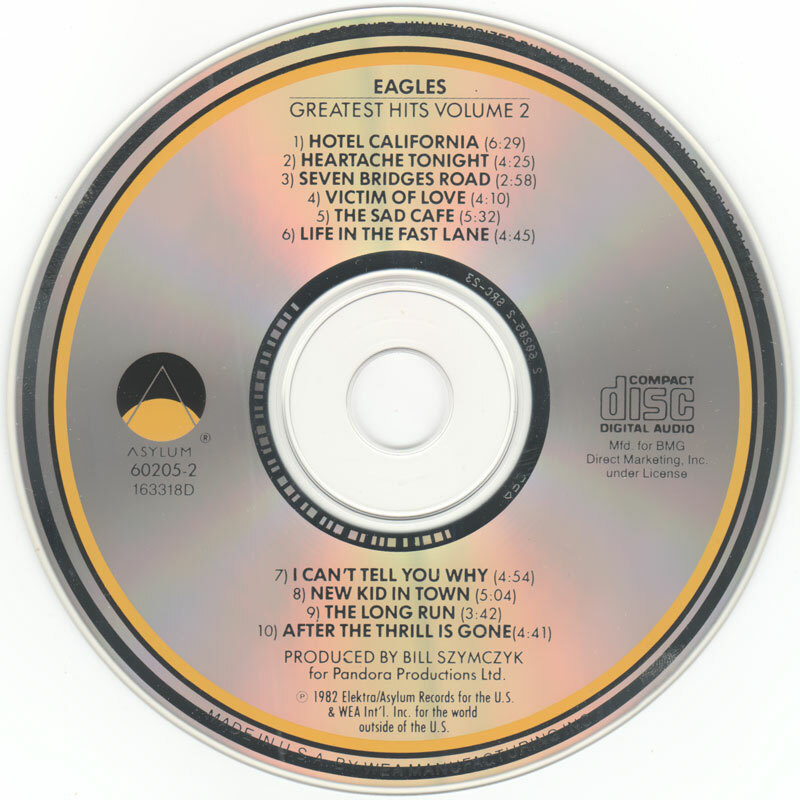 It also spared them having to buy mediocre albums like The Long Run and Eagles Live just to have copies of the best-known songs from those releases. 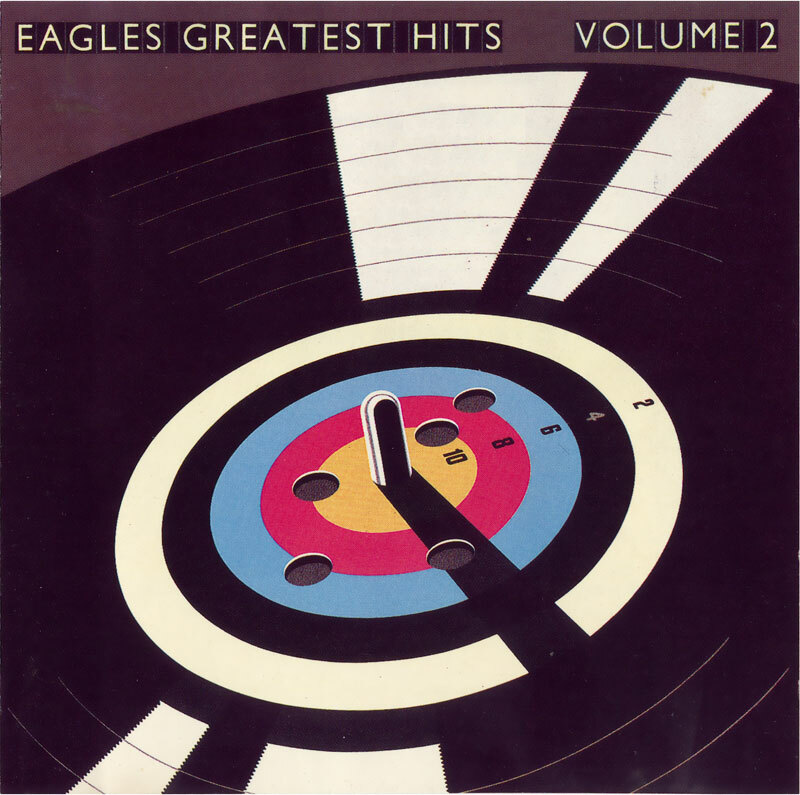 No wonder, then, that over the years, Eagles Greatest Hits, Vol. 2 achieved multi-platinum status.